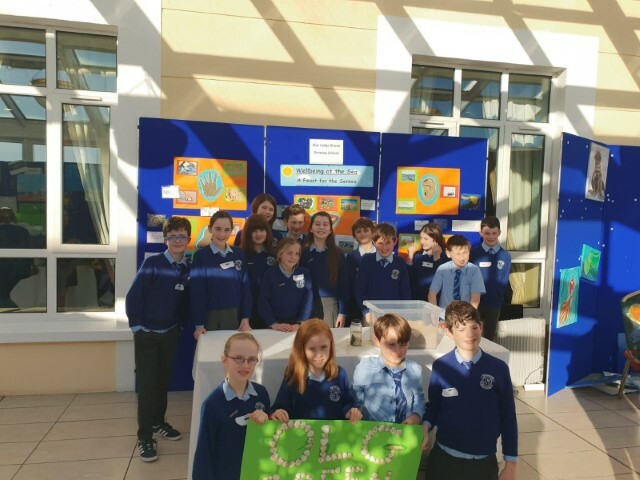 On the 30th January the Student Council attended the Green-Schools Marine Environment Conference in Galway. The bus set off at seven o’clock and we reached the Galway Bay hotel at ten o’clock. The day was great fun and very interesting. We listened to a few talks from the people who work with the Green-Schools committee. We listened to one from a school about the work they’ve done to stop plastic pollution of the ocean. Our stand was themed “Wellbeing by the Sea” and we talked mostly about the senses. The most popular part of our stand was the ‘feeling basin’ where people could pick the things they would like to find at a beach and some things they wouldn’t. They served us lunch and then we drove home. I hope everyone on the Council as well as the other schools enjoyed the day as much as I did.